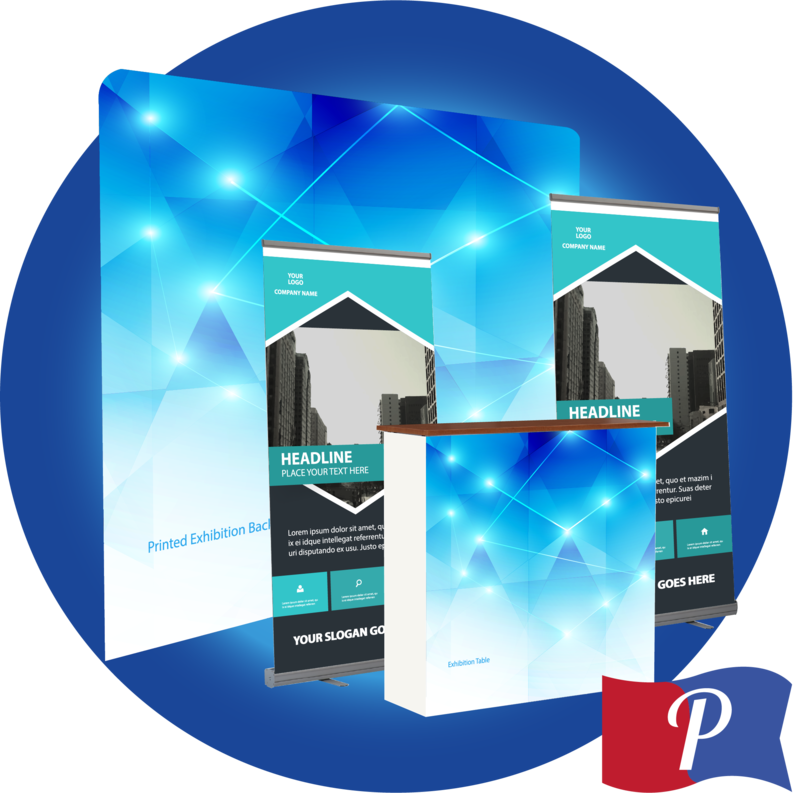 Our Exhibition Bundle is the perfect complete package for anyone exhibiting at an event, conference or simply wanting to advertise your brand. The complete pack comes printed to your own agreed specific design and is delivered to your door. This complete pack is the perfect way to brand yourself if attending an exhibition or event. It comes in its own set of packaging and carry cases for easy, safe storage. Very easy to assemble and comes complete with easy to follow instructions.